Oogst is coming to our Tech Jobs Fair in Amsterdam on the 11th of April, 2019. For job seekers, this is a great opportunity to meet this awesome company and get hired! Please take some time and see what drives this company to success in this digital world. That is what we come across in many online markets. That is why the smallest detail in the implementation makes the difference. A clear vision of online growth is a necessity. We believe that you have to be at the forefront in order to win and with this motivation we can achieve great results. Day in day out. In 2006 we started as search engine specialist 'Search Factory'. Search is still the solid foundation under Oogst. We have now grown into a digital marketing agency with a strong focus on the use of customer data and online returns. Online channels such as search, display, social and affiliate are thus effectively managed, but also on a strategic level Oogst offers a proven approach to properly guide digital growth. We offer the knowledge, continuity and drive to take an organization to the next level in a structured Maturity approach. We work for major national and international premium brands. Our core activities consist of purchasing, deploying and optimizing digital media to reach target groups effectively. With the right message, at the right time. We make 1-on-1 communication with target groups and people scalable and the effect measurable. We are demonstrably a forerunner in the use of data within online marketing and pioneers in the field of Data Management Platforms . Thanks to our years of experience in the most challenging online markets and continuous innovation, we are a discussion partner at every level: from strategy to operation, from setting up processes to training people and implementing technology. We are 100% transparent. We assess both branding and performance marketing on the basis of clear KPIs and provide full insight into purchasing costs, results and activities. Online marketing is people work. Recruiting, training and efficiently deploying experts is an important part of our success as an agency. Our specialists are the best in their field, are able to excel in every channel and set the bar high to achieve the best result. We are happy to share our knowledge with others: towards our clients, but also through our blogs and publications via Emerce, Marketingfacts and Twinkle. We regularly speak at leading events and congresses, thereby continuously working on our reputation as an innovative online marketing agency. In 2019, Oogst was named number 1 in no less than two sections of the Emerce 100 : with 5.5 stars in the Digital Marketing agencies 'large' category and with 5.5 stars in Analytics & Optimization agencies. Oogst has achieved high scores in the Emerce 100 for years on end . In addition, we are one of the most talent-focused organizations and in 2018 received the Talent Development seal . In 2017, Oogst was one of the fastest growing companies in the Netherlands and therefore received an FD Gazelle Award . In addition to being recognized by Google as a Partner, we are one of the few agencies with a Google Analytics 360 accreditation and the only agency with two Relay42 accredited marketers. 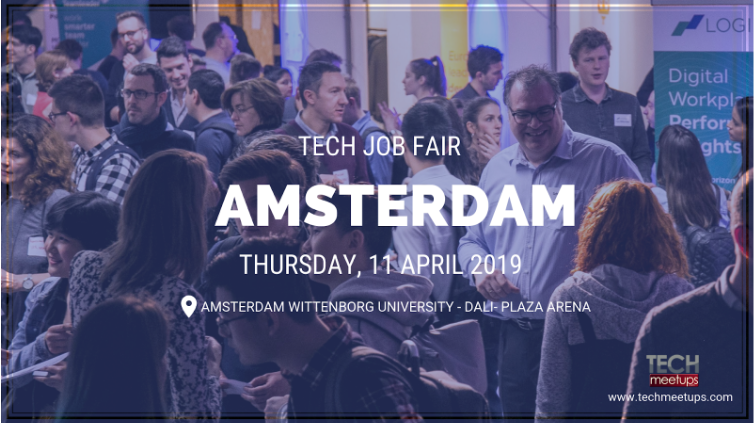 Remember, Oogst is coming to our Tech Jobs Fair in Amsterdam on the 11th of April, 2019! Please bring your CVs and be prepared to give them your very best first impression that will earn your spot on their team! You can get their latest updates here: Facebook, Twitter, LinkedIn and Instagram. We are all aware of how technology changes the world. It is helping us a lot! From the way we maximize our time to the way we connect to other people - everything seems effortless. With the help of the internet, we can now shop with the use of our fingertips and communicate with other people whenever we want. Everything seems to be one tap away! But, have you ever wondered that there are people behind the improvement of these technologies? Our Amsterdam Tech Job Fair will be happening this 11th of April, and IJsberen will be there with us! Their goal is to build an advanced data science backend to invisibly power a mobile frontend of exquisite beauty. IJsberen is Amsterdam's coolest mobile-first data science incubator. They are an internal startup - a bubble of startup energy within a larger business disrupting from the inside. They started their journey by building a large and loyal following of customers who love their product. Innovating and delivering on all kinds of ingenious ideas is in their DNA. This time, they have the backing of a multibillion-euro, Europe-wide business - allows them to have no limitations on what they want to create. They are a strongly values-led team. It's important for them not just to do outstanding work, but also to enjoy the job. They also want a diverse team of individuals who can bring something unique and special to the company. IJsberen is building a team and environment where they can constantly learn from each other. Where they can have the chance to use the latest tools and ideas to build innovative and breathtakingly beautiful new technology. They want to be a place where people flourish because all their successes come from that. These things are what they provide for their developers. They can't say it's perfect because the company is still in a state of change, but these are the values that guide them. And now, IJsberen is looking for someone who's disciplined, organised and with a high standard of interpersonal communication. They are looking for individuals who can communicate well while providing quality solutions to a team of hard-working people. Want to be a part of their team? Prepare your CVs now. They want you in! Meet them in person at our Amsterdam Tech Job Fair. Their brand is continually growing! Be part of their success today and in the future. You can learn more about them on their website. Click here to sign up and meet us in Amsterdam! When interacting with an app or website, you just want it to work. You want the navigation to be user-friendly and the app to be bug-free. Testbirds helps companies to test with their end-users through their innovative crowdtesting platform. With the feedback, they’re able to optimise the usability and functionalities of their digital products. Read on and learn more about Testbirds. Testbirds will be joining us this coming 11th of April for our Amsterdam Tech Job Fair. They offer crowd and cloud testing solutions to enable clients to optimise their digital products such as apps, websites and other connected devices. This is done with the help of real users all over the world and powerful testing technology – always on the hunt for functionality and usability issues. Continue reading below to get to know their story, culture, and the benefits of joining their team. They personally provide this info for you! Ever since Philipp Benkler, Georg Hansbauer and Markus Steinhauser created Testbirds back in 2011, they have passionately been working towards their dream of a world in which bugs and usability issues are long gone. The company has now grown from a small start-up to an internationally operating company with 100 employees in offices in Munich, Amsterdam, London, and Stockholm, serving over 600 clients around the world. The human aspect of today’s connected world has always been the main focus. That is why Testbirds has developed crowdtesting solutions, to enable companies to test for usability and functionality issues directly with their end-users. With the feedback, clients can optimise their digital products, such as apps, websites, and IoT-devices. What's your company culture like? What is it that you want to represent? Although we are steadily growing and developing, we hold on to our startup flair. A part of that is reflected in our working environment, which promotes productivity through satisfaction. It’s important for us to let our employees create a working environment that makes them feel good and that fosters productivity and creativity. We support that through flexible working hours, free lunch, fruits, and drinks for the Amsterdam office amongst much more. Also, twice a year during out Bird Fly Out (BFO), we get the entire company together for some amazing team building and a lot of fun activities. We actually just finished one last week. Self-leadership is something we treasure in the Testbirds team. We are looking for people who truly enjoy taking ownership of their responsibilities and who bring their ideas to the table. With that said, it is also very important that you are a team-player as we take our team spirit very seriously. Both in meetings as well as in the regular FIFA or Towerfall sessions after lunch. At Testbirds you will be working with an amazing team of people from all over the world, and we offer a flat hierarchy in which you can continuously grow. As mentioned before, there will be a lot of room to implement your own ideas and initiatives. In addition to that, you always have the opportunity to attend internal and external development programs. Our office is situated only 10 minutes from Amsterdam's Central Station. Furthermore, there are plenty of occasions to travel to our other offices in Munich (Bird Fly Out! ), London or Stockholm (office hop). Testbirds welcome candidates with professional working experience as well as candidates who are fresh from college. Join us at our Tech Job Fair in Amsterdam and take the opportunity to talk to the Testbirds team. Visit their website to know more about them. Want to get their latest updates? Follow Testbirds on Facebook, Twitter, Instagram, and LinkedIn. Software Improvement Group (SIG) is on the cutting edge of technology and will be able to see you personally at our Tech Job Fair in Amsterdam! We were able to ask them some questions about their company, which they were glad to answer. 1. Who are the creators of your brand (company)? What do they do in life, what are they passionate about? Software Improvement Group (SIG) was a spin-off in 2000 from the CWI (Dutch: Centrum voor Wiskunde en Informatica, the Center for Mathematics and Informatics). The founders were passionate about creating analysis methods to give objective insight into the quality and risks of complex software systems. They wanted to translate scientific knowledge into practically applicable services. In doing so, they created a sort of MRI scanner for software that shows which parts can be improved, thereby removing risk. 2. What's the story behind the creation of your company? What inspired you to start your business? In 2000, there was concern about the Millennium bug. Many software programs represented four-digit years with only the final two digits — making the year 2000 indistinguishable from 1900. The assumption was that the turn of the millennium would result in various errors which could then cause significant incidents. During this time, researchers at the CWI were finding ways of analysing such a software system to understand the impact of the millennium change. This initiated the beginning of Software Improvement Group - using scientific models to examine very complex software systems and give practical advice on how to mitigate the risks. 3.What's your current view on the market you work in? What makes you feel like your brand stands out? Software is eating the world. Software systems are critical in every organisation, whether it's a governmental organisation digitising its voting system or a bank automating dispute cash backs. Altogether, the complete software ecosystem of a single company can consist of hundreds of systems built with millions of lines of code in various programming languages. This can make changes or innovation a risky business. Digitisation started in the early ’60s, but did you know that many enterprises are still depending on software code that was written back then? Understanding the strengths and weaknesses of all these technologies is vital in creating a roadmap for the future. This is where SIG comes in: we start with analysing and understanding software code, figuring out the risks and opportunities based on those facts, and then continue to help advise and coach our customers on to get to their desired state of software quality and processes. Everything aimed at creating a better, safer and healthier technology for a brighter future. 4. What's the thing that you appreciate/value/cherish more about what you do as a brand? SIG has the only software lab in the world that is accredited according to ISO/IEC 17025 for software quality analysis. This is actually the same accreditation held by a blood-testing lab, for example, which means that we have developed a methodology that can analyse the quality of code objectively and compare it against our global benchmark. On top of that, we have brilliant management consultants, who can map the results of the software lab to the business goals a customer might have. They can then explain to both business and technology leaders how they can drive their organisational objectives by fundamentally improving the health and security of their software applications. 5. Do you have a special story of something unique you did for a client? Something unusual you did as a team, something memorable you'd like to share? We have a lot of cool stories! You can find them here on our website. We're all super proud to work for SIG based on the fact that by analysing code, we can identify and quantify hidden risks that can have a massive impact not only on companies - but also on society. For example, think about how you make digital payments, do your tax declarations or even set your car on autopilot... all of this is controlled by software! So you can imagine the impact we make as a team in creating a safer and healthier digital world. 6. What's your company culture like? What is that you want to represent? SIG has an open, warm and approachable culture, where knowledge sharing is vital to our development. Our organisational structure is relatively flat, and it's crucial to us all that we inspire each other. That's why we've always made a point to come together as a company every Friday for snacks, drinks, sport, catching up and idea sharing. 7. What is your team like? How do you work? Collaboration is part of our DNA here at SIG. We're a very collaborative group here, spanning teams and departments. All this comes with a lot of fun and laughs, as we all enjoy learning from each other. 8. What kind of people are you looking for? Who's the best match for your team? We are looking for people who are not afraid to challenge themselves, like to learn and develop in their skills. Show strong analytical skills, comes from a technical background and enjoy technology. 9. What benefits and perks do you offer your employees? What's the biggest plus of working for you? Friday level-ups with beer & wine, regular sailing and sport outings, a Company band, and free fresh fruit. 10. What are your goals and plans for the future? What's your biggest ambition? SIG's mission is 'Getting Software Right'. Of course, we cannot do this by ourselves and we need to extend our reach if we want to have a global impact. This is exactly what we are gearing up for today: to increase our reach tomorrow and impact more countries, businesses and systems. To enable our vision of a global awareness and standard on software quality, SIG is currently investing in expansion of its consulting practice to other countries and continents, in tooling to support our clients and to build partnerships that will carry the word of quality software to the far reaches of the IT space. We are actively working with both government and industry parties to get the IT business to a higher level. Although we will continue doing this in the best way we know, through consultancy, SIG will increase its reach through offering software products and training on an ever-increasing international basis of operations. Make sure you don’t miss this amazing opportunity! Remember, Software Improvement Group is coming to our Tech Job Fair in Amsterdam! Bring your CVs! You might get the job you’ve been dreaming of at this event! Good luck! For more updates about SIG, you may follow them on Twitter and LinkedIn. See you there! Barcelona is one of the most beautiful places to stay in Europe. You'll see excellent modern architecture around the city. Others say that it is the best place to start your career. We're glad to say that in this city, you have the chance to get your dream job because this 4th of April, we will bring you more career opportunities at our Barcelona Tech Job Fair. We have over 20 companies looking for individuals to join their team. So, update your CVs now and be ready to meet these awesome employers during our Tech Job Fair. Have a quick overview of the companies who will be there at our event. We enumerated all of them for you. Don't forget to get tickets here! If you're looking for a company to boost your career, Page Personnel is perfect for you. They have over 40 years of international experience in providing specialist recruitment services. They are the leading recruitment consultancies in permanent and/or temporary positions in the world. Badi App provides a fast and efficient way to pick an ideal and secured room for its clients. It is the easiest way to find a perfect place to stay. Their top cities are London, Barcelona, Madrid and Roma. Netcentric builds digital experiences that connect brands with their customers using scalable Adobe Experience Cloud technologies. They have over 500 talented professionals with more than 270 Adobe certifications. Vistaprint is more than just a business card. They are the place for people who don't settle, who challenge the status quo and never stop asking how to do things better. They are always finding ways to redefine technology and design. Derivco designs and develops trailblazing technology. They are the leading software development house in the online gaming world as they develop castles of code through teamwork. Hesehus is Denmark's leading e-commerce solution. Their culture is imbued with a strong social unity with many celebrations and social events. American Express is working to make a difference in the lives of their customers. They are driven by their commitment to deliver exceptional products, services and experiences. OM Partners is a leading provider of Supply Chain Planning software. This software solves questions related to Network Design, Product Portfolio, Sales & Operations Planning (S&OP), Demand Planning and Forecasting, Master Planning, Distribution Planning, Order Booking and Order Promising, Manufacturing or Production Scheduling and Supply Scheduling, Load Planning, Transport Scheduling, Multi-Echelon Inventory Optimization (MEIO) and Demand Driven Material Requirements Planning (DDMRP). eDreams ODIGEO is one of the world’s largest online travel companies and one of the largest European e-commerce businesses. Its five leading brands have been instrumental in ushering in a new era of travel booking. Dow Jones is a News Corp company and is committed to the philosophy that responsible corporate citizenship improves the lives of all people as much as it does our own. Their advanced data capabilities, award-winning journalism and innovative technology deliver news, tools and financial insight to move markets, inform critical decisions and power top companies and careers. Work In Denmark provides you the opportunity to get your dream job in Denmark. They provide international job seekers and Danish employers with the information, guidance and tools to find each other. Between Technology is a multinational consultancy with more than 20 years in providing integral services and technological solutions. They find the best way to meet the expectations of their customers and offer their workers a professional career. Haufe creates the workplace of the future. With competence, passion and experience, they take companies into the digital age. With the use of their software, consulting and training solutions, they make complex things simpler. K2 is an app that enables every business to speed up their work and connect to their people. It simplifies the workflow development and updates the on-premises version. K2’s SmartAssist technology has been extended to provide more intelligence in the design phase to make workflow development easier and more efficient. Koedia develops IT solutions for many actors in the tourism industry: travel agencies, networks of travel agencies, tour operators, and TMC. They aim to offer the most appropriate solutions for your business. BMAT tells everyone what music has been played so that artists get the recognition they deserve. They monitor and report music across televisions, radios, venues and digital services globally. Opticks dissects traffic and identifies where fraudulent traffic is coming from so you can block clicks before they become a problem and know which sub-sources are putting their business at risk. realxdata makes fact-based decisions. They put all information that every business needs in one place and provide data-driven analysis solution for commercial real estate through integrating proprietary and crowdsourced data. Montreal Associates is an enterprise technology recruitment company. They have developed an unrivalled network and reputation, working with leading experts and companies across Europe. Rentals United is the most powerful Channel Manager for Vacation Rentals. Their cloud-based technology is trusted and accessed by vacation rental managers and owners everywhere. They provide compact solutions for marketing, distribution and operation management. Have you found your target employer? All these companies are hiring and are looking forward to recruit the best talent at our Tech Job Fair in Barcelona. Get your chance to interact with these companies in person. Mark your calendar now! See you this 4th of April! Sign up here and join us. Check all the job vacancies and grab the opportunities to get your dream job. 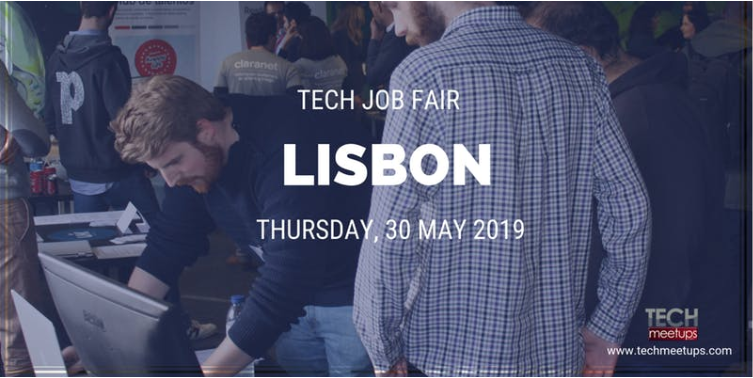 Opticks is coming to the Barcelona Tech Job Fair! Be sure to sign up to get your dream job! Here are some of the questions that Opticks was glad to answer. Let’s take a look at the nature of their business. Opticks was created by a couple of local entrepreneurs who had spent tremendous effort and expense towards identifying bot traffic. They got so good at it that they decided to launch a company dedicated to bot detection as well as identifying other types of internet ad fraud. We are a small company with a flat structure. Everybody’s opinion matters and all ideas are welcome. We’re not going to watch what time you come in and when you leave, we’re more concerned about what you contribute. Our team is communicative and cooperative. We work in a self organized agile way. Some of us are better at Mario Kart than others, but theoretically we’re all equals. We want cooperative, curious, independent, and hard working developers. At the moment our priority is Java. The best match might be somebody with a couple of years of experience as a Java developer, but we’re open to both recent graduates with no work experience as well as more seasoned professionals. Don’t forget to bring your CVs! Remember, Opticks is coming to the Tech Jobs Event in Barcelona! You don’t want to miss this event! We know the struggle of finding a job, and getting yourself on board might be one of those challenges you will face in attaining your dreams. Let go of your worries today! We are excited to share that our Barcelona Tech Job Fair will happen on the 4th of April. Companies will be joining us waiting for job seekers to fill their vacancies. And today, we want to introduce you to the group of people who have the passion for music- BMAT! BMAT started in 2005. For them, music is a lady that makes their lives a zillion times better. And because of this, they want to return the favour by making her (music) life easier, and give her a brighter future. And to achieve this goal, they apply their scientific, data-infused brains to tell everyone what music has been played – so that creators get the recognition they deserve. Continue reading to know more about their working place, office rituals and more! Sign up here and get ready to meet their team in person at our Tech Job Fair in Barcelona. What do you do make your workplace stand out? Our people make of BMAT something special. We’re open-minded and well travelled, coming from all parts of the world. Currently, we are 115 people serving 82 countries from 12 offices: Barcelona, Buenos Aires, São Paulo, Lima, Brussels, London, Oslo, Paris, Johannesburg, Tokyo, Singapore, and Seoul. We like coffee, tea, chai, and mate all the same. We’ve got rappers, producers, cello players, DJs, and songwriters. We all have a clear common mission: Make the music world fairer. Every Monday we get together and have a short meeting where we share updates, news and market trends. In addition, in our kitchen, you can find fresh fruits, the best coffee and tea. We love to go there and have a chat while enjoying some food or beverages. On Friday's afternoon, we join forces in our Jam Sessions and share some beers and snacks. Every 3 months we have a Q party, which is an event where (among other things) we set our personal and team objectives aligned with the company’s strategy. Going out on the town for our Q party is something we do when not dealing with Metadata. We want to ensure a smooth integration to our company so we make sure everyone feels welcome. All information needed as well as the first-week agenda is sent to the candidate prior to his/her first day. Moreover, during the first weeks, new joiners have different on the job training. At BMAT we are a startup (well, we are already 80+ but we have the startup heart) so we enjoy working in a flat hierarchy, in teams, with autonomy and full flexibility! Find out what they can offer you. Many opportunities are waiting for you at this event. 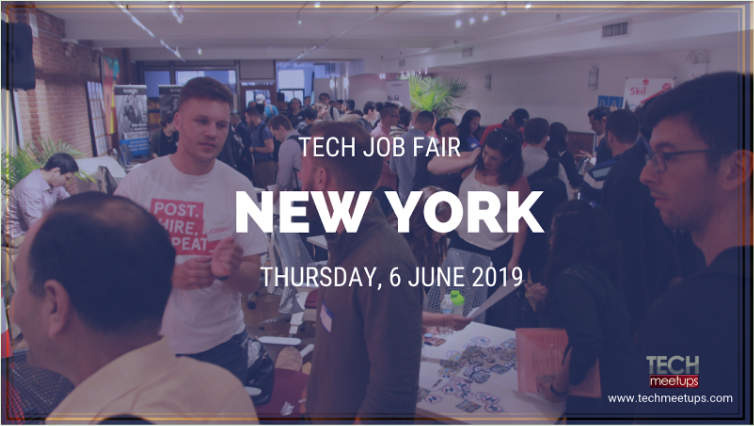 Create your schedule now and make sure not to miss this year’s Barcelona Tech Job Fair. Visit their website for more details. Check out their Twitter and LinkedIn to get their latest updates. Seeing the joy and excitement in every job seeker and company who's joining us is priceless. Because of this reason, we become more inspired to continue giving opportunities to job seekers and provide people to companies to become part of their family. 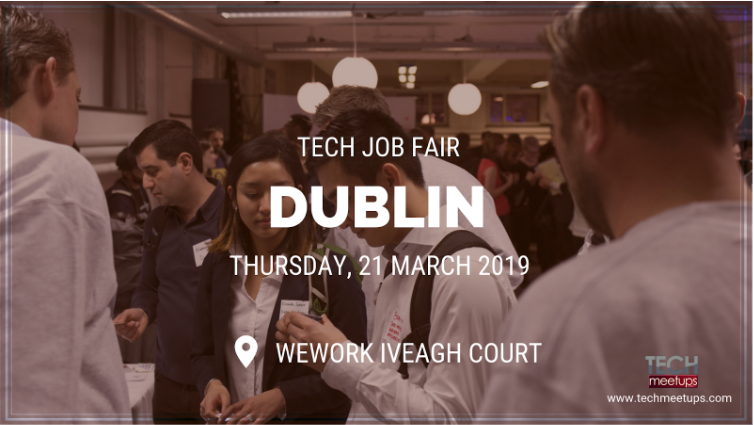 After our successful event in Dublin, we are grateful again to share that our Berlin Tech Job Fair is also happening real soon. 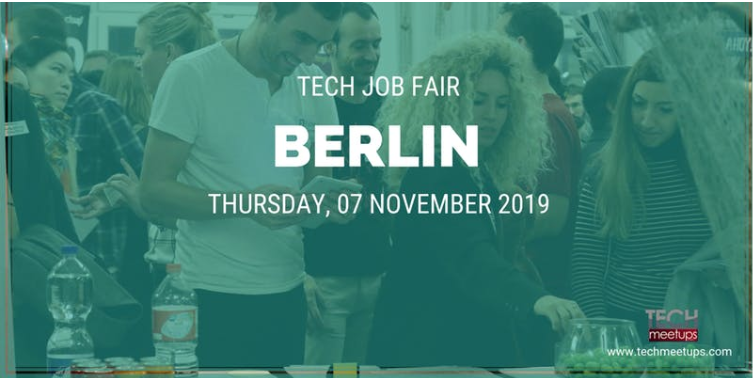 Movinga is one of the participating companies in our upcoming job fair in Berlin. 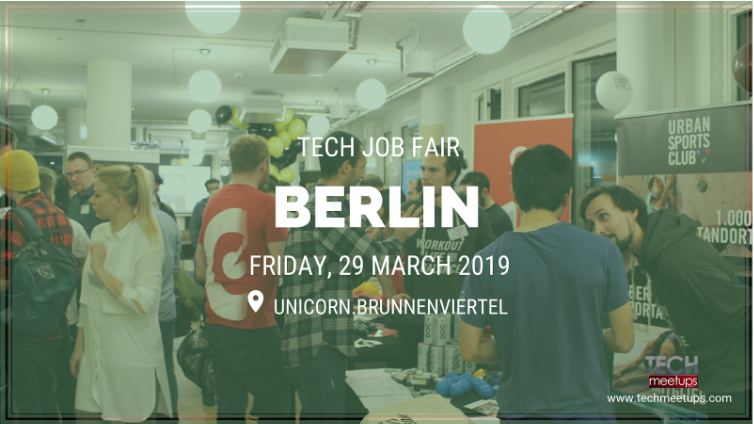 Berlin is one of the coolest cities in the world and joining our Berlin Tech Job fair will give you a chance to become part of Movinga. Movinga helps moving items from A to B. Through technology, optimized workflows and a great team, their customers enjoy a new way of moving. They are your complete service provider for removals and relocation-related services. Through convenient and easy booking, fair pricing, customization options and a focus on quality service, they offer an improved relocation experience. With you, Movinga wants to expand. Your work with the company will facilitate one of the most challenging experiences in a person's life, and this is their mission. They combine the innovative spirit of a technology company with the caring soul of a customer service provider. Be a driving force for their success as they allow you to grow and bring in your own ideas to improve not only Movinga, but yourself as well. They can't wait to meet you! They can't wait to have you! Create a reminder now to make sure you will not miss the chance to speak with their team in person this March. 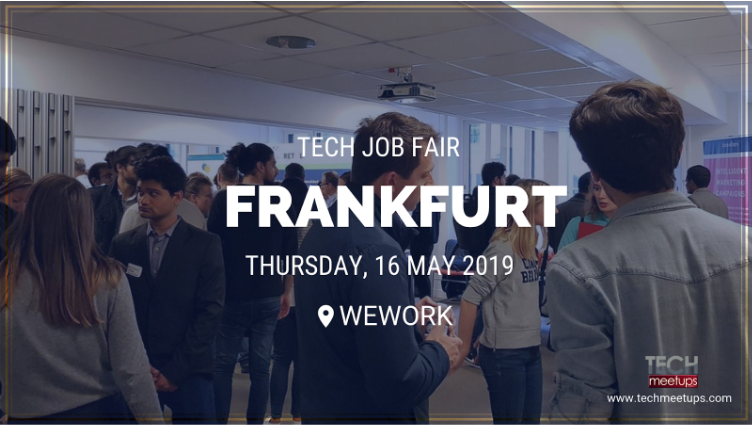 Start your career and discuss with Movinga at our Berlin Tech Job Fair. We want to help you get your dream job! Meet us and see all the opportunities we have. See their website for more details. They are also available on Facebook, Twitter and Instagram. 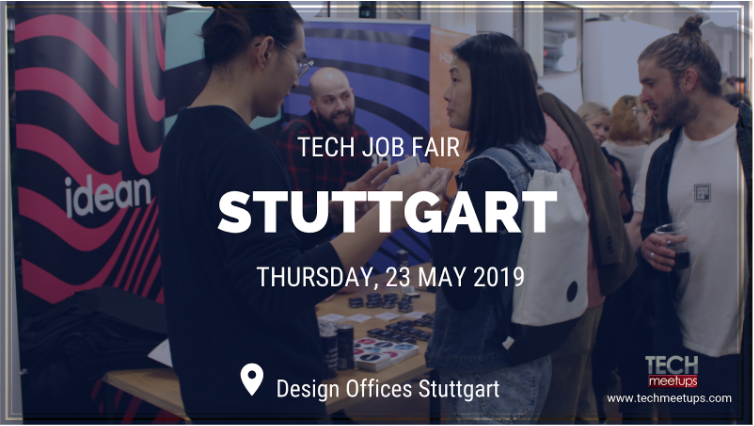 We’re positive that this year’s spring edition of Munich Tech Job Fair is going to be great. The group of our exhibitors is just growing more and more each week. What does that mean to you? More chances of getting hired in some of the best local tech startups! And today we want you to meet Personio - a company that believes in making HR process simple, as long as you stick to digital solutions. Dive into the interview we’ve got for you - it’s a good read! 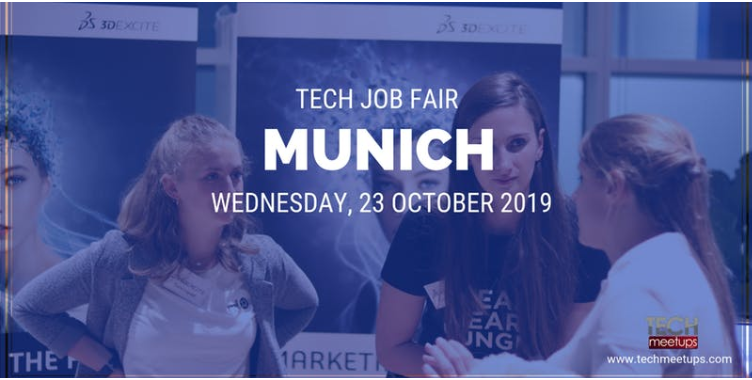 Don’t forget that as a job seeker, you enter Munich Tech Job Fair for free. Sign up now! What's the story behind the creation of Personio? Personio’s market entry happened in 2015 with a minimum viable product of the software by the founders Hanno Renner, Ignaz Forstmeier, Roman Schumacher and Arseniy Vershinin and the team was completed by Jonas Rieke just shortly after. The founders met while studying together at the Center for Digital Technology & Management in Munich. The founders of Personio started the SaaS company to tackle a common problem: they realized that HR tasks are time-inefficient processes that consume the company’s money and the workers’ valuable time. Therefore, the startup designed and implemented a flexible and holistic HR and Applicant Management software to bundle all HR processes digitally into one solution and is adaptable as well as affordable for small and medium businesses from 10 to 1.000 employees. To date, Personio has been awarded several times and plays an essential role in making the day-to-day operations of more than 1.000 HR teams across the globe more effective and transparent. What started off as a simple idea has quickly turned into the new best friend of HR managers who have everything under control and can manage the entire work cycle of each employee in one place. We see ourselves as one big team with a common objective, always thinking about how others could benefit from our knowledge and experience. We strive for a pleasant environment and a friendly relationship in which we have fun as a team, appreciate humor and celebrate our success together through regular team events. Each quarter we set ambitious goals that define the "what" while everyone is responsible for finding out the "how". We achieve these milestones through open communication and transparent decisions across all departments. In short: we are passionate about making Personio even more successful by facilitating the daily HR work for many companies in the B2B area and, at the same time, becoming the digital forerunner of people management by exchanging our learnings & know-how with other HR experts within the industry. As a startup, we work agile, dynamic and outcome-oriented. Our working principles determine the culture at Personio, how we interact as a team and make daily decisions. We seek solutions instead of complaining about problems and focus on achievements rather than shortcomings. We take initiative, both inside and outside our role, and involve all relevant people. We are able to communicate precisely, collaborate efficiently and always put customer satisfaction first in every decision. We want to improve individually and as a company and, therefore, always question the status quo and challenge ourselves as well as others constructively. We work together in small mission-based teams to focus on a specific and well-defined task, love good coffee and value results more than dress code. Our team now consists of around 140 employees and comes from over 23 nations. There is close cooperation between the different teams so that compatibility and communication are ensured in all our developments and decisions. Embrace the adventure of our startup world, take full responsibility for your area and use the opportunity to help shape our company in its growth phase. Get inspired by our enthusiasm and help us build the leading HR platform in Europe. Find your dream job today at https://www.personio.de/jobs. Whether Bachelor’s or Master’s degree, Young Professional or Senior, Computer Science, Industrial Engineering, Business Administration, Communication Sciences or a comparable degree: in our versatile mission-based teams, everyone will find their right place. It is not your grade average that matters to us, but rather your profound communication skills, customer orientation, analytical competence, teamwork skills and, above all, the willingness to learn new things every day. We value soft skills and networking - that's why we're looking for motivated talents of all age groups who stand out from the crowd through their own mind and character, cleverness and creativity, who work independently and who like to proactively engage in conversation with people. A certain basic technical understanding is necessary, but many of our employees also work by the principle of "learning by doing". Work in our central and modern office in the heart of Munich - coffee, mate, fruit & cereals? All included! Personio is now in need of more people to join their team and help them grow. Are you in? If you think you’d fit in their team, make sure you sign up for Munich Tech Job Fair right now. You can also learn more about the company by visiting their website, Facebook, Twitter and Linkedin! 2019 is here and it will bring changes. To everybody - small and big ones alike. And we can see it if we look at these companies who are planning some big stock moves this year. Did you know that giants such as Uber are planning their IPO this year? If this doesn’t say a lot about the upcoming 2019, what does? The Department for Work and Pensions exists to promote opportunity and independence for all. We provide help to individuals and support the country’s economic growth and social cohesion. With over 2.000 employees and 7 million customers, the Berlin-based MYTOYS GROUP is one of the leading e-commerce businesses in Germany and is also a member of the Otto Group. Our multi-shop concept focuses on in-house solutions and developments in all areas – starting with IT and ranging to purchasing, marketing, customer services, through to our logistics Team. New!★ Turn your talent into heroes ★ With Appical, the app for new hire success, your new hires get to know your company even before their first day.